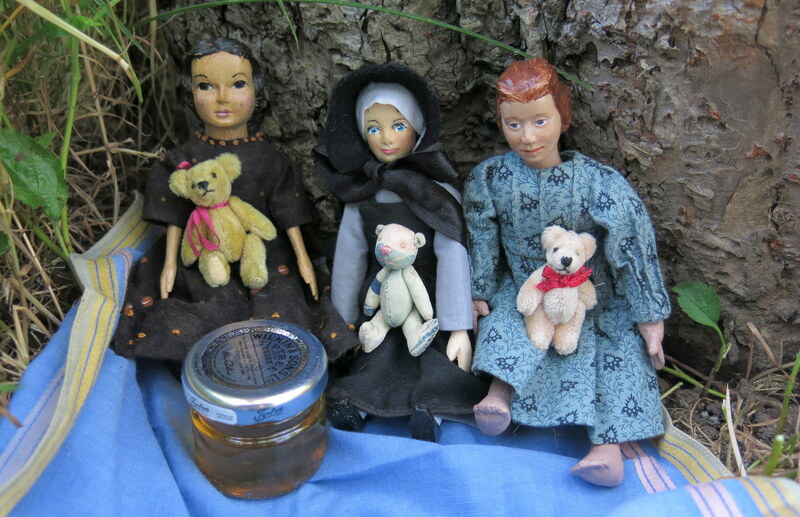 Three of the Quimper Hittys have gone off to have a picnic in the woods behind our house. 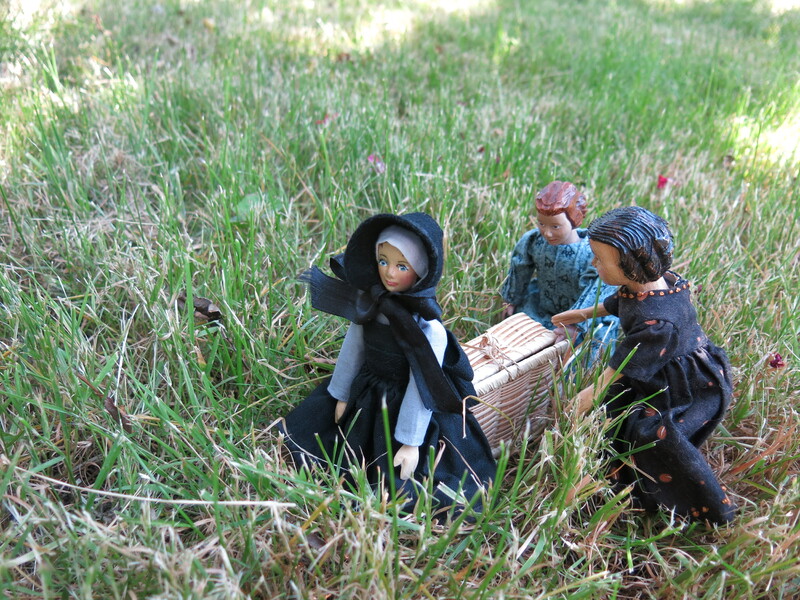 The special guests have arrived and inspected the contents of the picnic basket. This little one was made by the friend of a friend in Japan. 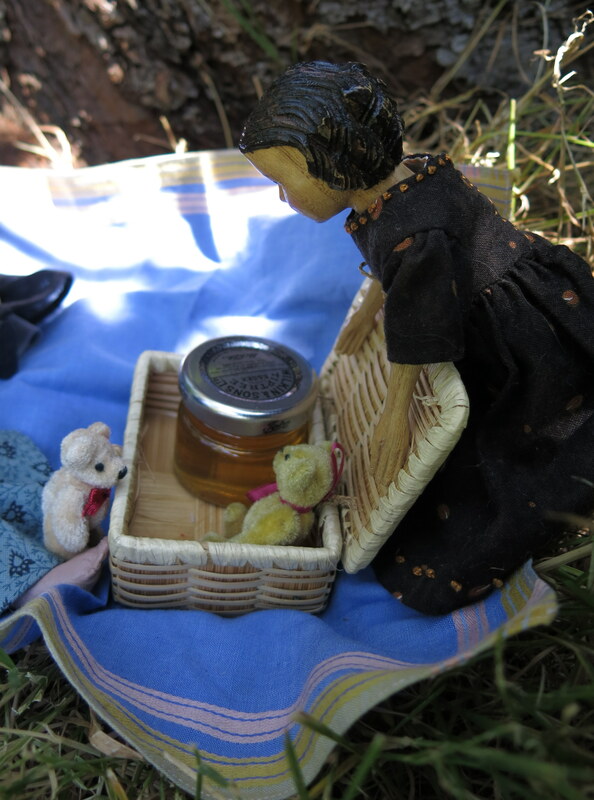 …Honey, bears and Hitty friends, what a sweet afternoon. 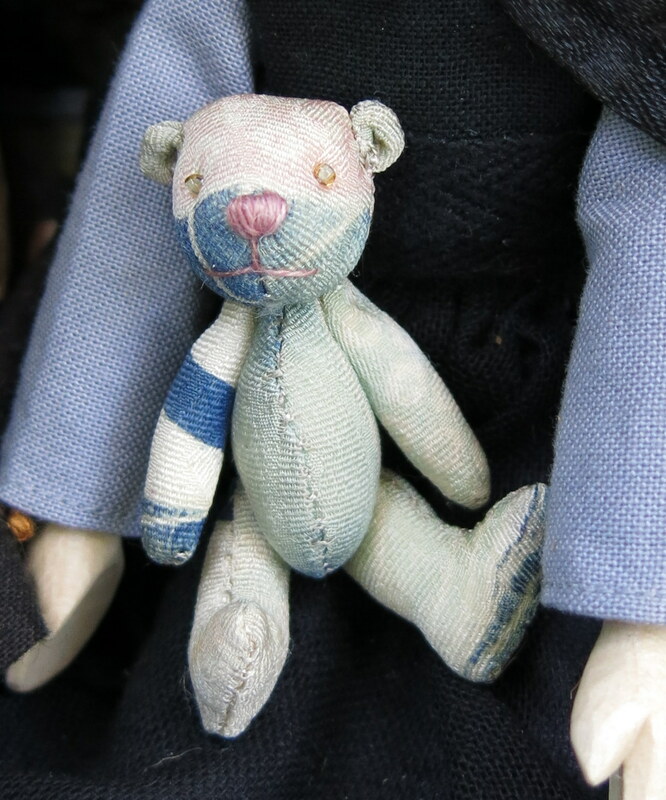 I hope that they sang ‘The Teddy Bear’s Picnic’ together…. it’s one of our favorite tunes! 🙂 What a delightful picnic- I hope that there will be many more picnics for the Hittys and their friends this summer! They were certainly humming something…and they plan on picnics galore now that summer is officially here! I love their picnic basket! The bears especially the immigrant from Japan are delightful. And of course the wonderful trio of Quimper Hittys are always a pleasure. I really like the picture of them all traipsing thru the grass. FUN! 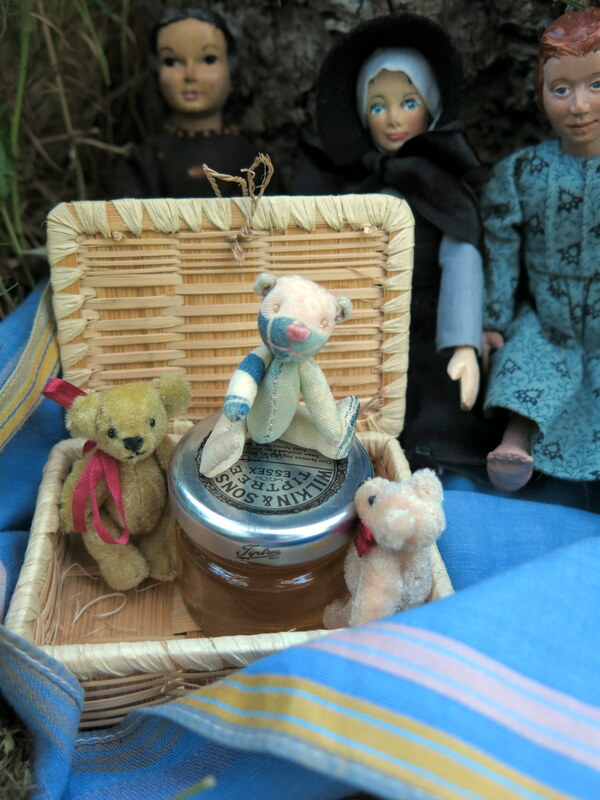 The bears usually loaf about in one or the other of the Hitty’s beds, they were all glad to get out into the lovely outdoors on the first day of summer! I too enjoyed the photos and especially the reward of a sweet picnic after what looked to be somewhat of a toilsome traipse to the woods. Very quaint photos. They did have trouble manoeuvring that heavy basket through the long grass! And they had to wipe their sticky hands and paws on the picnic blanket. Next time we’ll try and be more prepared!